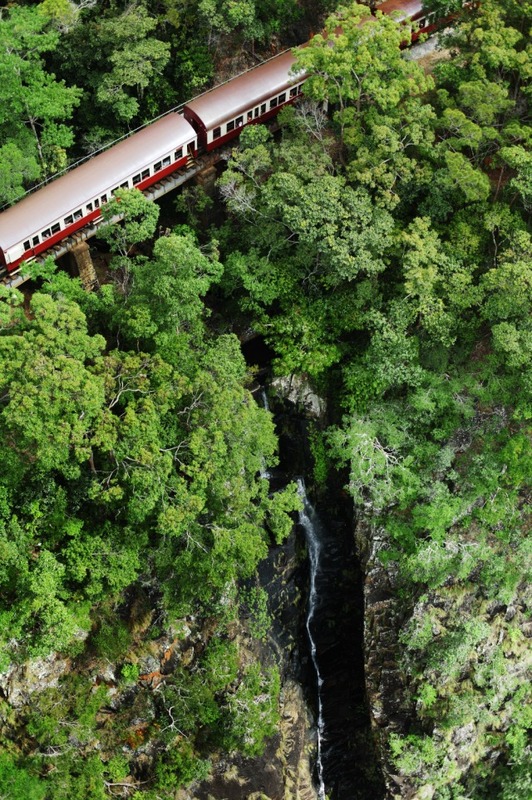 The original Kuranda Scenic Railway is a spectacular journey comprising unsurpassed views of dense rainforest, steep ravines and picturesque waterfalls. 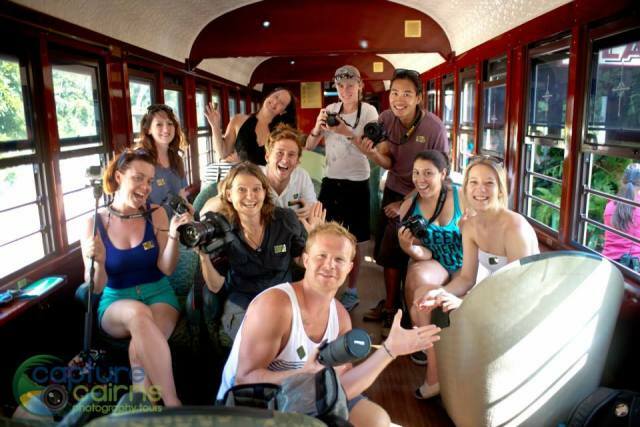 This famous railway winds its way on a journey of approximately 2 hours from Cairns to Kuranda, the village in the rainforest. Rising from sea level to 328m, the journey to Kuranda passes through World Heritage protected tropical rainforest, past beautiful and spectacular waterfalls and into the awesome Barron Gorge. 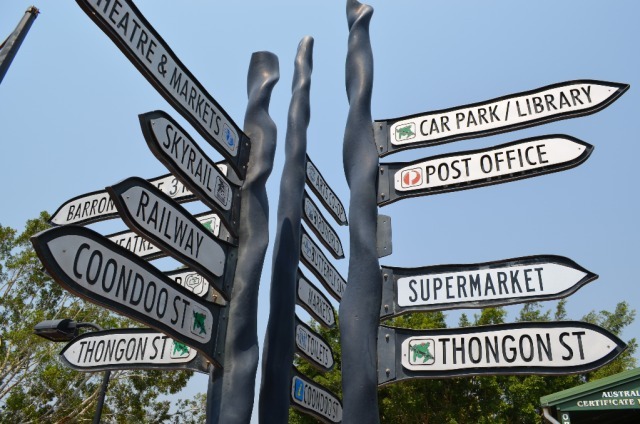 Upon reaching the village of Kuranda a rich assortment of interesting attractions and unique shopping experiences awaits you. 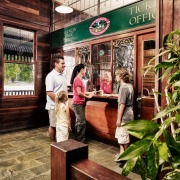 The Kuranda Scenic Railway can be joined at Cairns Railway Station or Freshwater Connection for morning departures to Kuranda. 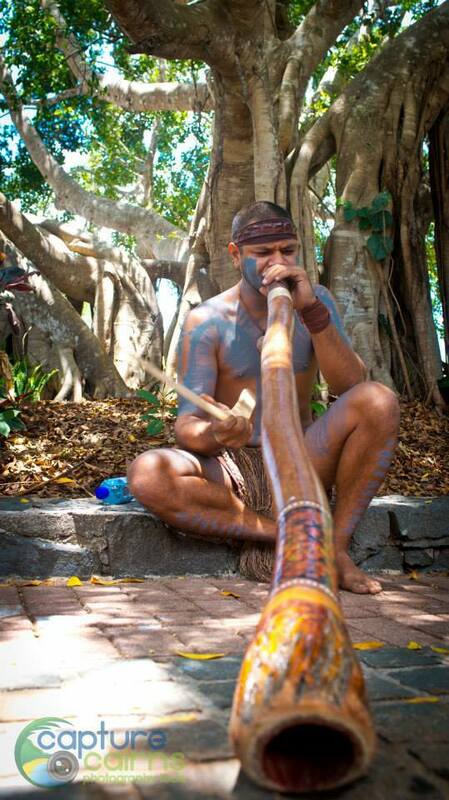 Journeys from Kuranda Station to Cairns run in the afternoon. 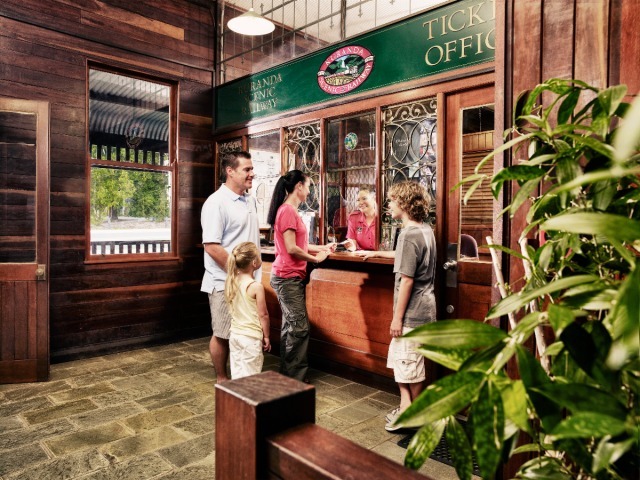 The journey includes an English commentary and all passengers receive a commentary companion which includes information on the history of the railways construction, a trip map and a map of Kuranda. 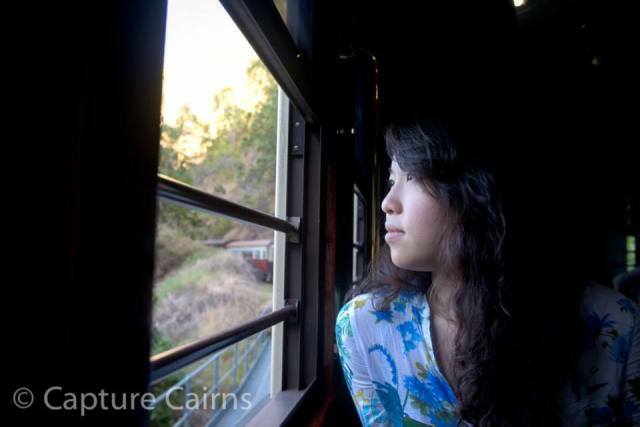 Cairns Railway station is situated in the heart of Cairns a short walk from most CBD hotels. Free parking at Cairns Central for the day is included. Please bring your parking ticket with you at boarding so that Queensland Rail can validate it. 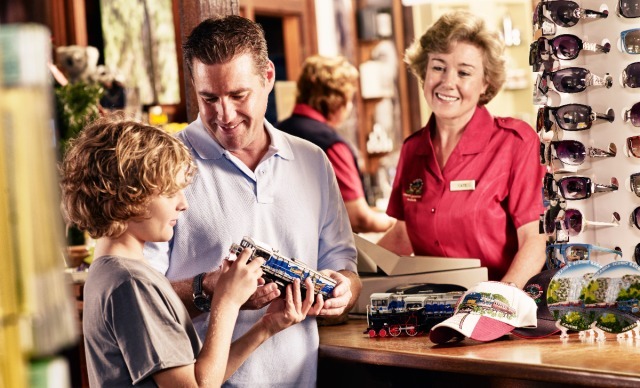 Situated in the nearby suburb of Freshwater, visitors can enjoy a hearty breakfast in authentic antique railway carriages. 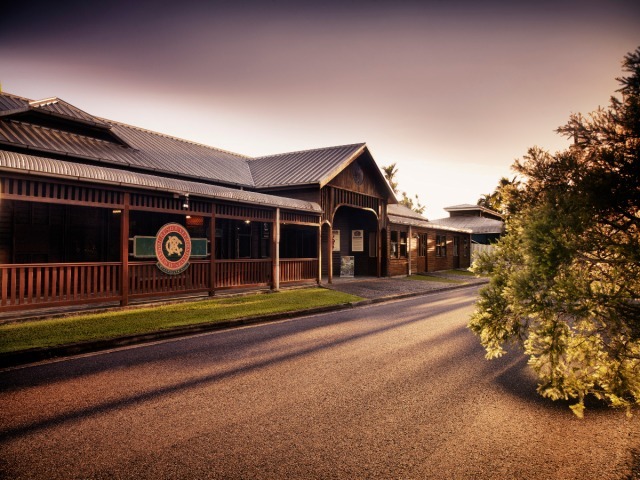 The Station also includes a railway museum, pioneer cottage, gift shop, and can be hired for a unique function venue. This is a more charming Station, and is the preferred departure point for many visitors. 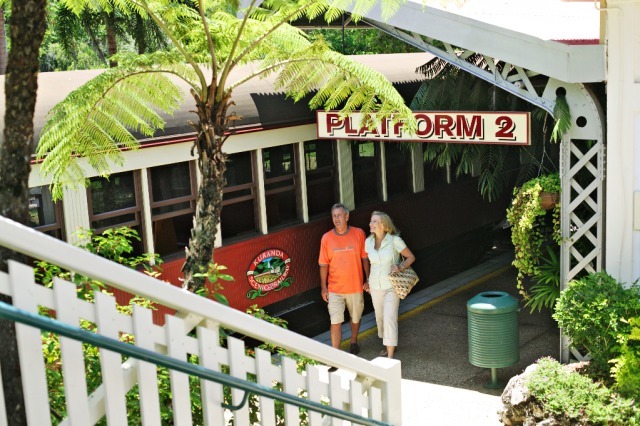 Kuranda Station is world renowned for its tropical gardens and historic significance. It is possibly one of the most photographed railway stations in the world. Seated in refurbished Heritage carriages. Chilled refresher towel during the summer season. Water cooler at the end of each carriage. Gold Class has provided a premium experience, giving you the extra comfort and little bit of luxury, and a most memorable experience. 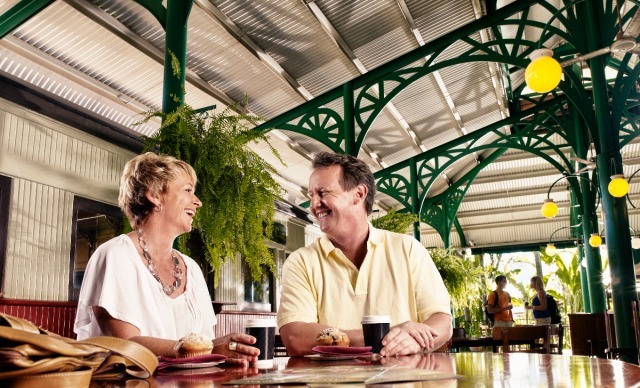 Anzac Day: No alcohol can be served on the morning trains to Kuranda. 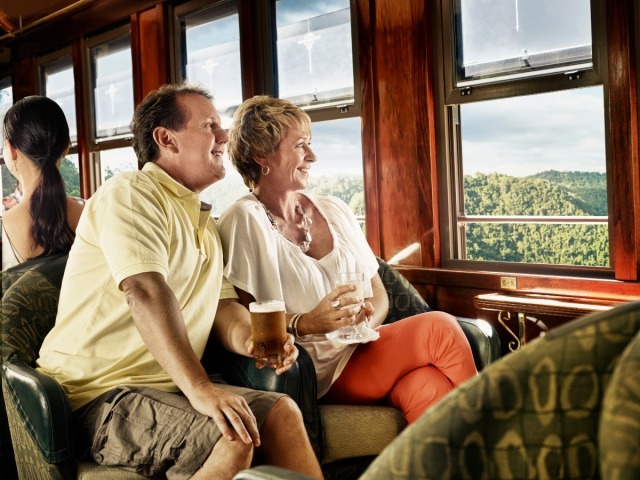 Alcohol can be served on the afternoon trains from Kuranda. When booking please advise you require wheelchair access, so that we are able to provide the appropriate assistance. 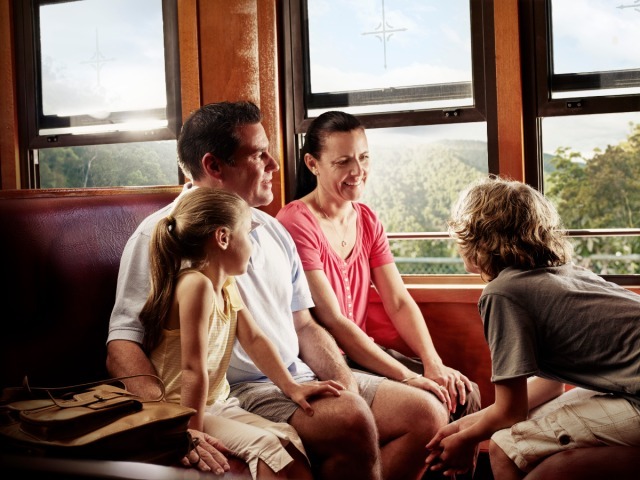 Queensland Rail have developed a unique and interactive app to give customers the opportunity to listen to commentary while they sit back, relax and take in the many historical sites onboard the Kuranda Scenic Railway. The apps are available in English, Japanese, Simplified Chinese/Mandarin & German for Apple from the iTunes app store and from Google Plus for Android users. 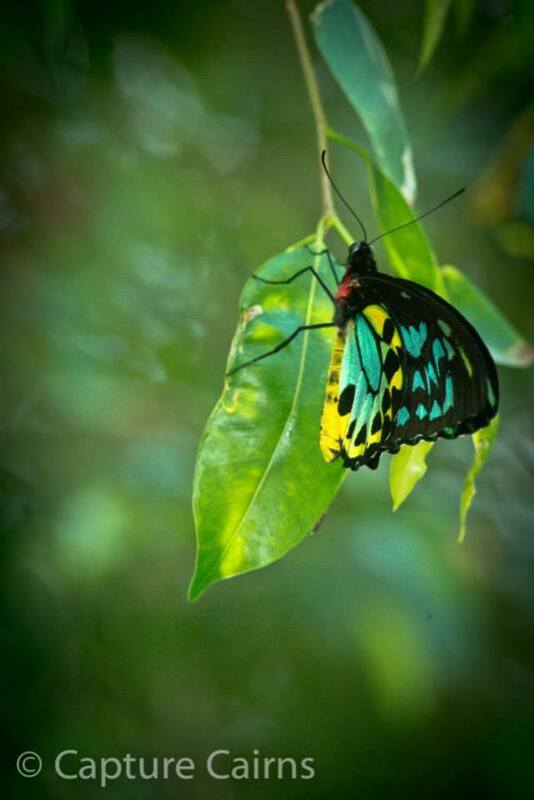 Please ensure you download the app prior to visiting Kuranda Scenic Railway's Stations. 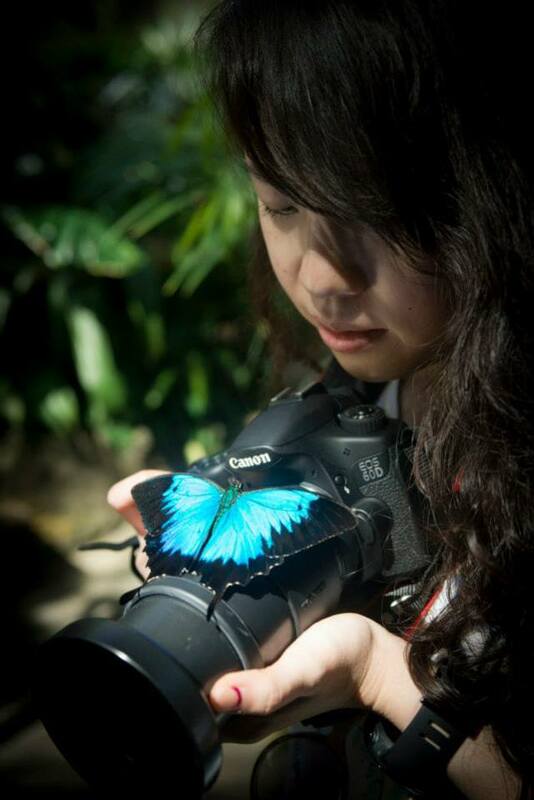 If you don't have a headset with them, they can purchase one at the gift shops in Freshwater or Kuranda for $1. 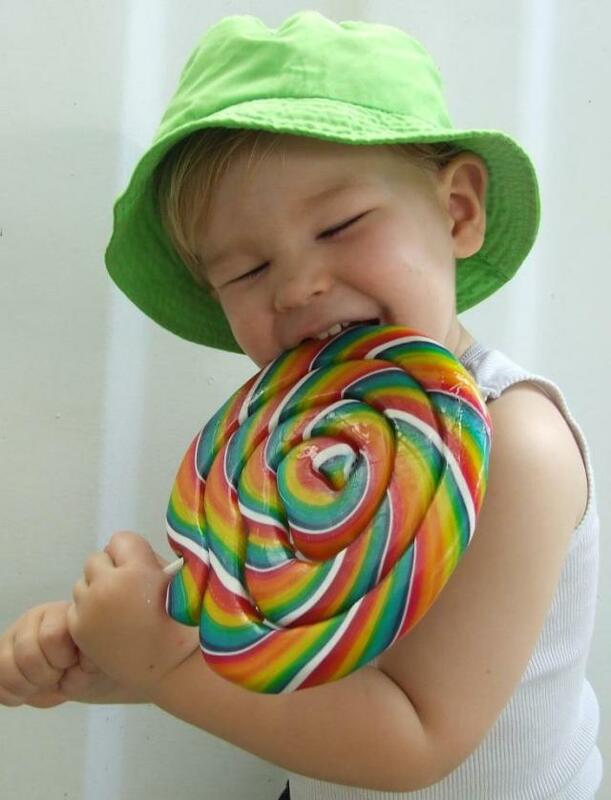 Kim, online and all the staff with whom we came in contact were very friendly and professional. The six people in our group went Gold Class which was well worth the extra money. Food was delicious and our hostess was great. The commentary on the train really impressed upon us the incredible feat the building of the railway line was. The stop at Barren Falls allowed us to see the Falls up close and also to get a great view of the entire train. The sky rail was also spectacular. This is the second time we have done this trip and we would do it again. The train ride was very nice but we LOVED the Skyrail gondola ride. Will be back to do it again was totally awesome. Scenic rail would have been better if we were allocated forward facing seats. Skyrail was excellent. Very good experience and a day well spent. Both the train and the skyrail were excellent as they showed the spectacular scenery so well. The train was a step back in time so was a a great experience. As a gold service traveller, the chairs were comfortable, the food good and the lady who served the food and drink was just so obliging. 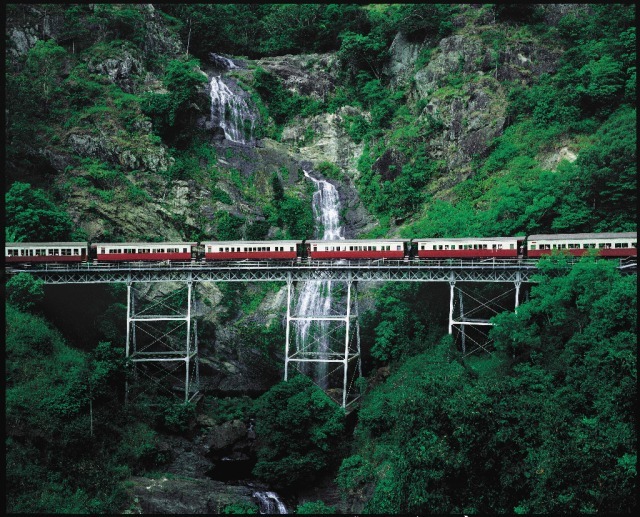 I would recommend the Kuranda Scenic train and skyrail to anyone. Had a lovely day on the Skyrail and the Scenic Train. 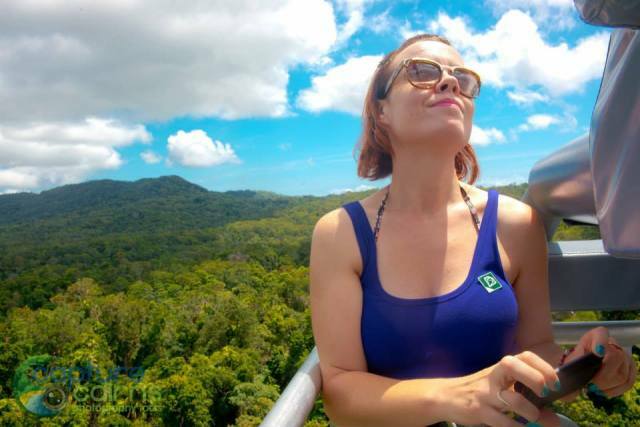 Beautiful scenery and highly recommend going to Kuranda and back via the skyrail and train. Natalie was excellent to book with. 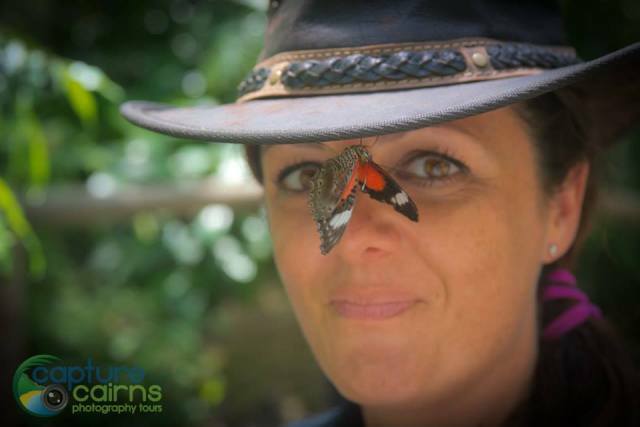 She arranged our tour around our time schedule so we could catch our flight back to Sydney. The train was neat and the Skyrail was totally amazing - very glad we did both. just gliding over the forest canopy. Overall a very enjoyable experience. Beth, our hostess on gold class on the scenic rail was amazing and made our trip so much more enjoyable. Thanks Beth you did a great job.